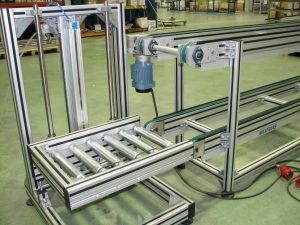 NIKAI SYSTEMS can offer a wide range of roller conveyors with several options regarding drives, diameters and roller material. 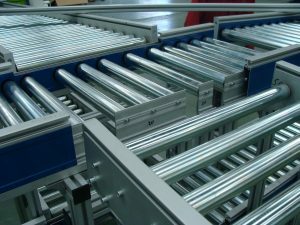 All frames are completely constructed out of extrusioned aluminium profile. 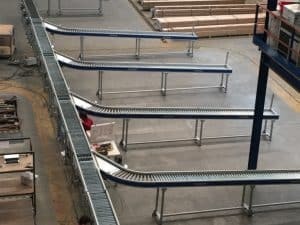 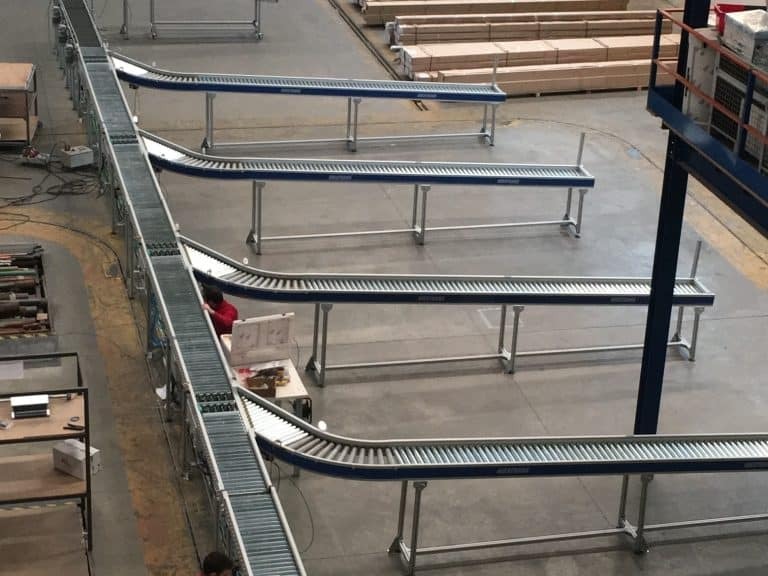 These conveyors can have straight or curved sections and are ideally suited for the transport of work pieces which have a totally flat base. There exists the possibility of mounting rollers with accumulation which allows the rollers, once they have retained the load, to continue turning therefore prolonging the life of the rollers against wear and tear, and eliminating the need of large power drives for the conveyor system. 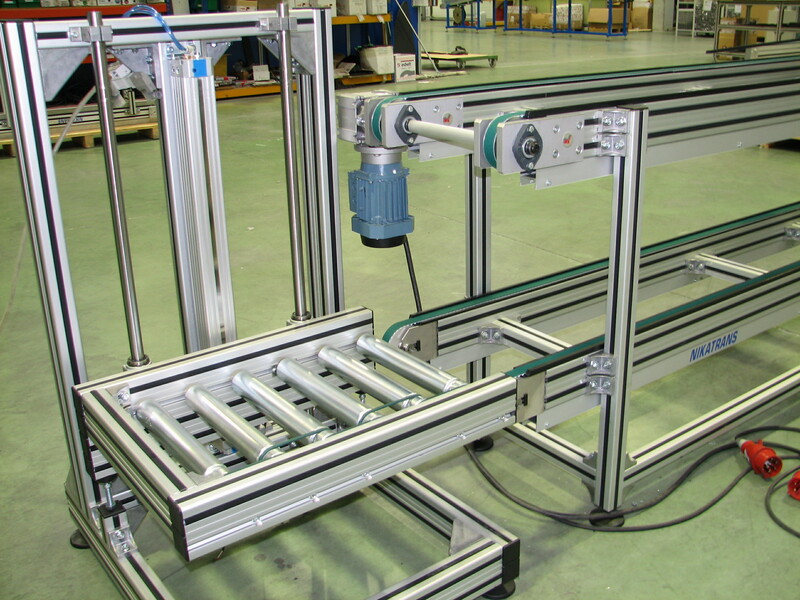 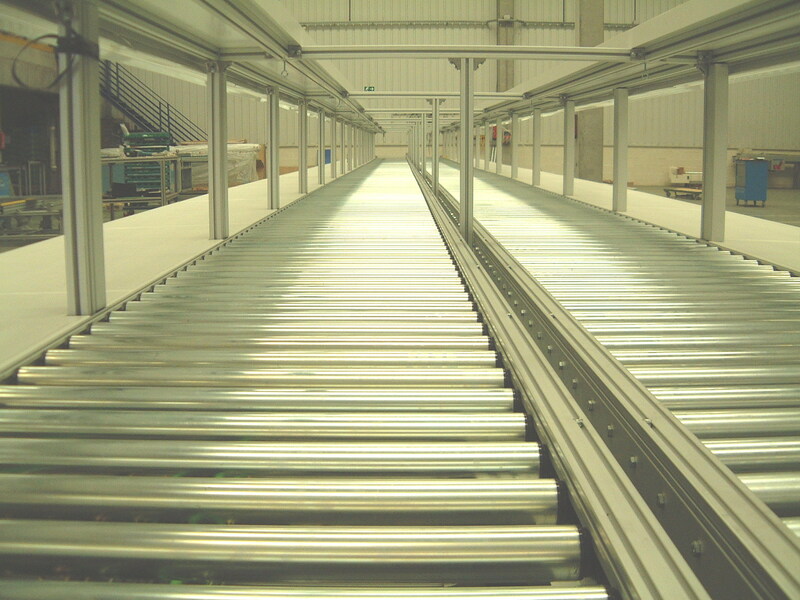 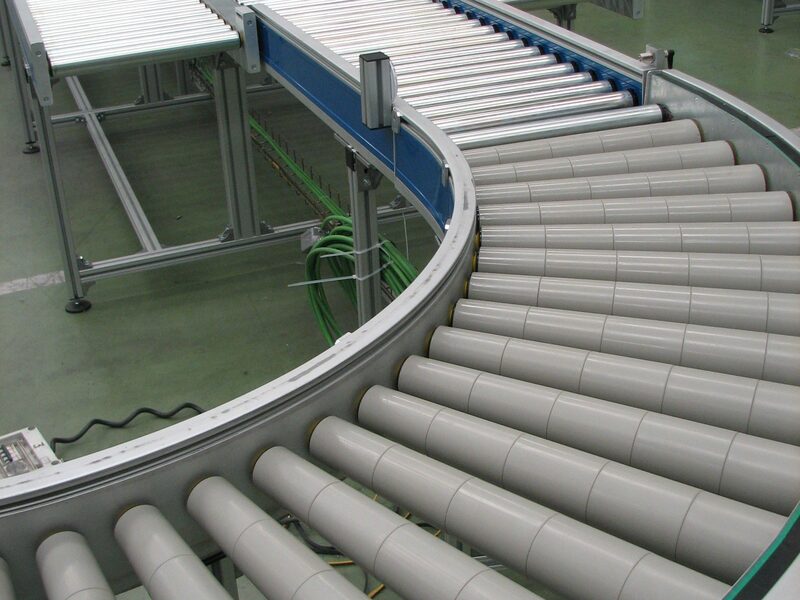 Roller conveyor 90º turn, desing for logistics.